Market research is the term given to the process of gathering facts and data about a business’s target market or customers. Researchers usually conduct market research through surveys in order to collect information from customers or potential customers. One of the most common surveys conducted by researchers is a customer satisfaction survey, which basically asks a series of questions to customers about a particular product or service offered by a business or a company. This is usually conducted in order to gather enough information on how the product or service is being received by the customers. 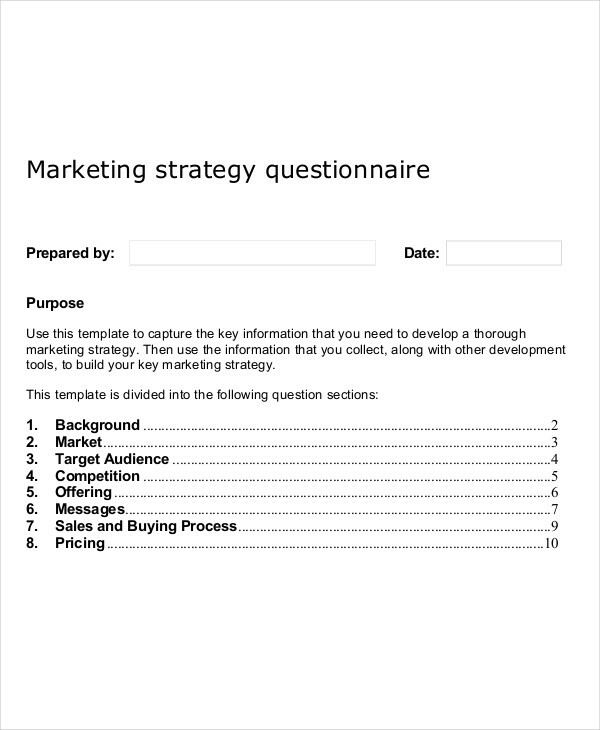 What Is a Marketing Questionnaire? A marketing questionnaire, in the simplest sense, is a type of questionnaire used in conducting a market survey or market research. 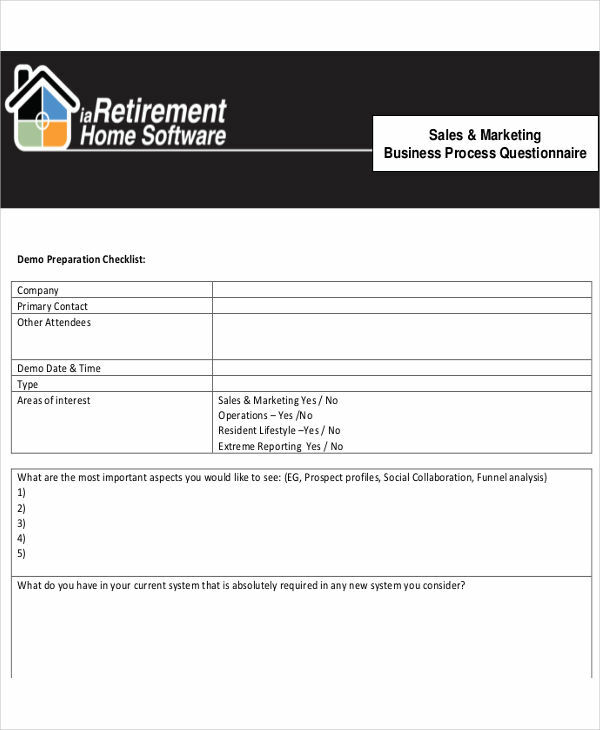 Marketing questionnaires are often administered to customers of a certain market or area. 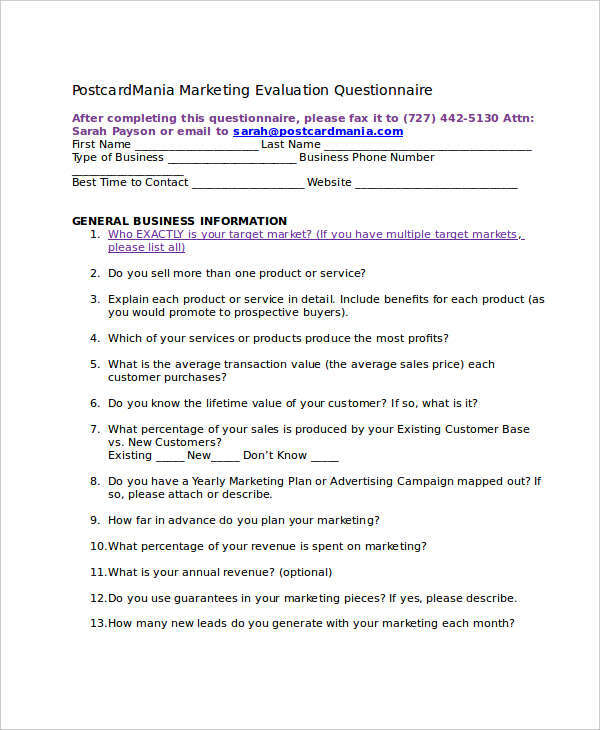 Marketing questionnaires ask a series of questions ranging from what the customers know about the product, to any comments or suggestions about the product. These questionnaires can be sent through mail or electronic mail, or can be administered through a phone call or one-on-one interaction. 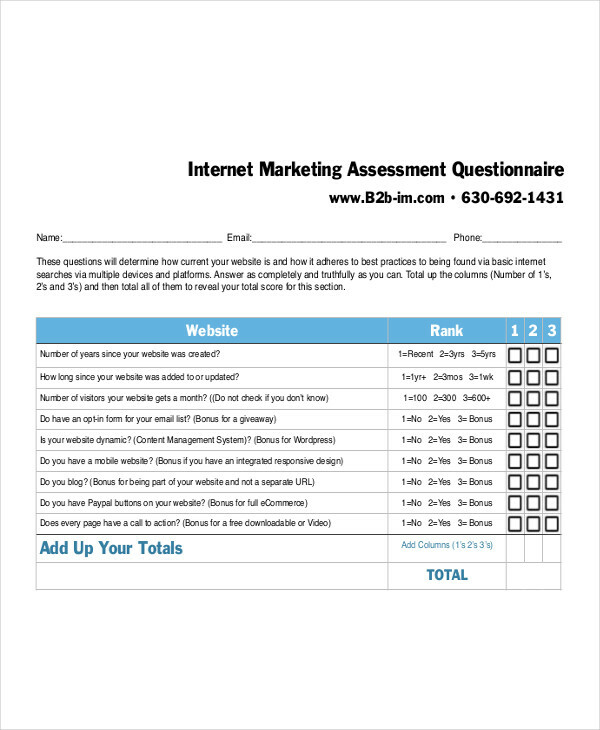 Like other importance of questionnaires, marketing questionnaires are intended to gather the needed information to be interpreted in order to derive the conclusion or results of the study. 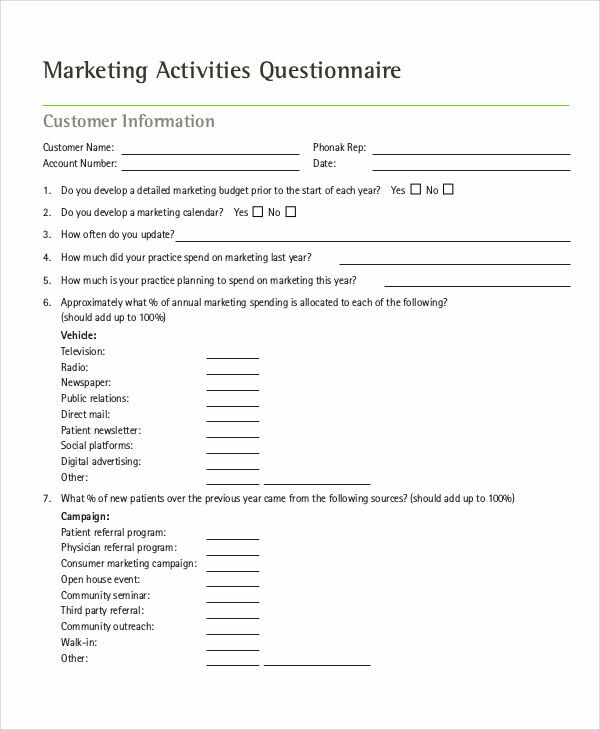 Marketing questionnaires make it easier and faster for the researchers to gather the data they need without putting much effort, or wasting time and resources. 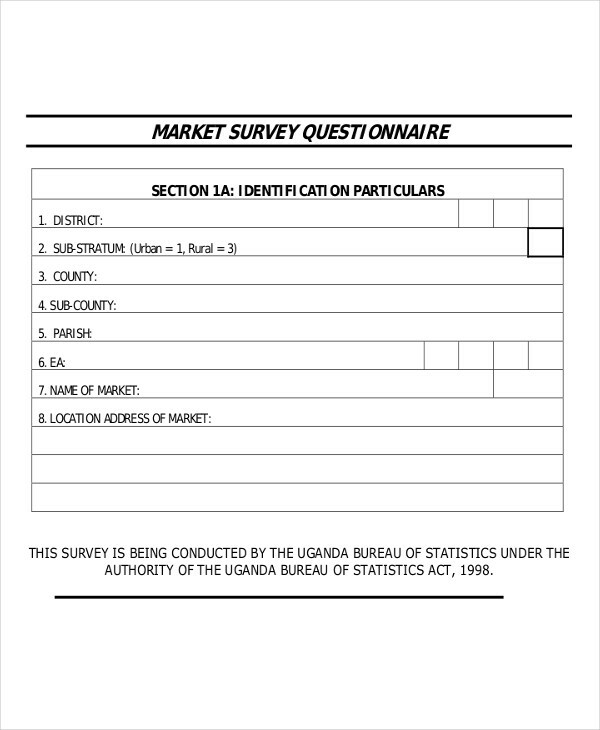 Because there are many ways to administer a questionnaire, researchers can easily distribute questionnaires to a large population of respondents. 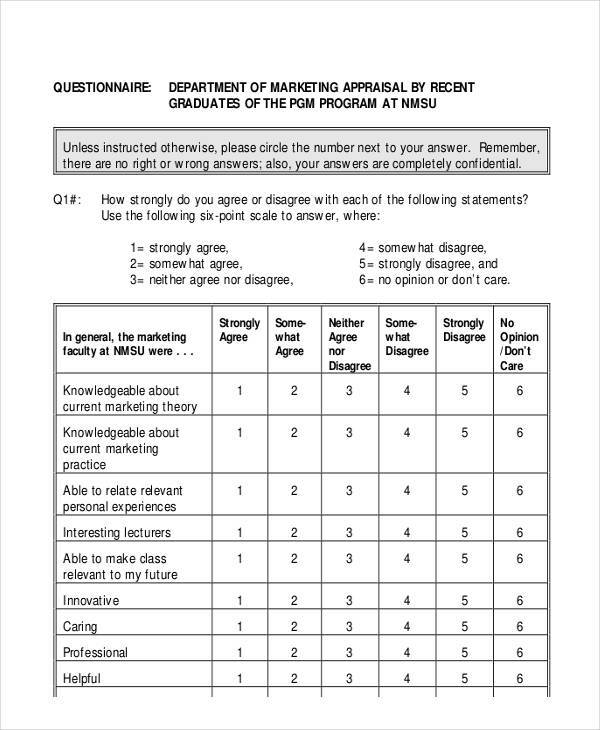 Marketing questionnaires provide the opportunity for customers to speak their minds about certain products and services, and help the researchers determine ways to improve their product or services based on customers’ comments and suggestions. Define your goals. Know what your smart goals are, and decide on your desired outcome. This will help you in determining the questions you need to ask your respondents. Determine the method of administration. Do a research on what method of delivery has the highest response rate, and apply it to your own marketing questionnaire. Write down the questions you want to ask. Create an outline to organize the questions. Categorize questions, especially sensitive ones. Sensitive questions may be asked in between neutral questions or at the near end of your questionnaire. Ask clearly. Avoid using vague phrases and sentences. Use simple words, and make your sentences short. Keep it short. You don’t need a long questionnaire to get the answers you need. In most cases, one or two pages can be enough. Proofread your work. Scan through your questionnaire multiple times to ensure you asked everything you want to ask. This is also to check if your questionnaire does not contain unnecessary questions.